The hip is one of the body’s largest weight-bearing joints. The hip joint forms where the thigh bone (femur) meets the pelvis and forms a ball-and-socket joint. Hip pain is a major cause of disability among older individuals. However, hip pain can occur at any age, affecting men and women both. What structures are affected by hip pain? The hip joint consists of the femoral head (ball-shaped end of femur bone), which is at the upper region and the acetabulum, which is a socket in the pelvis where the femoral head fits. Ligaments are bands of tissue that connect the ball to the socket, stabilizing the hip joint and forming the joint capsule. Lining the hip joint is a thin membrane called the synovium, which produces a lubricating, viscous fluid. The bursae are fluid-filled sacs that offer cushioning for bones, muscle, and tendon. How common is hip pain? Around 7% of adults reported hip pain in a recent survey conducted by the Centers for Disease Control and Prevention (CDC). The Institute of Medicine reports that 116 million people have some form of chronic pain, and 2.5 million U.S. citizens have had a total hip replacement. Hip fracture – More common among people age 65 and older and among women with osteoporosis. Bursitis – This is inflammation and swelling of the bursae (fluid-filled sacs) that cushion and lubricate the joints. This condition is aggravated by walking or any activity that causes the tendon to move over the bony hip bone (greater trochanter). Dislocation – When the femoral head (ball) slips out of the socket, it causes severe pain and decreased hip motion. Hip dislocation is more likely with damaged ligaments or hip dysplasia, which is a congenital misalignment of the hip joint. Labral tear – The labrum is a cartilage that surrounds the socket of the hip. Tearing of this structure can occur after a twisting injury, such as a fall. Osteoarthritis (OA) – This chronic condition occurs from breakdown of cartilage that cushions the bones that form the hip. Symptoms include hip pain and stiffness. Rheumatoid arthritis (RA) – This disease occurs when the body’s own immune system attacks the synovium, which lines the joints. Inflammation leads to serious hip joint damage. Lupus – This chronic autoimmune disease involves the immune system creating antibodies that damage healthy tissues when they attack. Gout – This arthritis disease occurs from excess uric acid accumulating in the tissues of the joints. Gout causes excruciating hip pain. Polymyalgia rheumatica – This is an inflammatory disorder that results in widespread muscle pain and joint stiffness. Impingement – This occurs when the neck of the femur grinds against the rim of the pelvic socket. It produces a pinching and burning sensation of the hip. 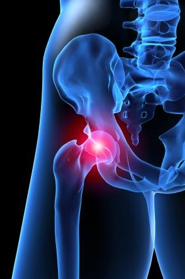 Hip joint injection – The doctor can inject a corticosteroid, with or without an anesthetic agent, into the hip joint. This decreases bursa inflammation and relieves stiffness. In a recent randomized controlled trial involving 100 patients, significant improvement was seen in participants who received a steroid joint injection. Fascia iliac block – With this procedure, the doctor injects an anesthetic or neurolytic medication into the membrane near the nerves that supply the hip. The fascia iliac block has a success rate of around 80-96%, according to clinical studies. Epidural steroid injection (ESI) – If hip pain occurs from a herniated disc that causes nerve compression, an ESI may help. The doctor injects the space around the spinal cord with a corticosteroid agent and anesthetic to relieve nerve irritation. 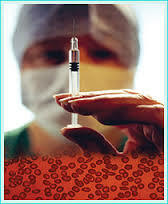 Platelet-rich plasma injection – A new procedure used for hip injuries is the platelet-rich plasma injection. This involves injecting concentrated platelets with healing growth factors into the hip joint. In a recent medical study, PRP for hip arthritis had a 60% efficacy rate, with half of the participants reporting significant improvement in pain relief and improved function. Dr. Ajay Yeddu at Desert Interventional Spine Consultants offers top nonoperative treatment for all joints and spine with the latest technologies available. Most insurance is available and patients are seen throughout the East Valley including Gilbert, Chandler, Mesa, Tempe, Queen Creek and surrounding areas. Call us today! Lopez S, Gros T, Bernard N, Plasse C, & Capdevila X (2008). Fascia iliaca compartment block for femoral bone fractures in prehospital care. Regional Anesthesia and Pain Medicine, 28(3), 203–207. Sanchez A, et al. (2012). Ultrasound-guided platelet-rich plasma injections for the treatment of osteoarthritis of the hip. Rheumatology, 51:141-150.